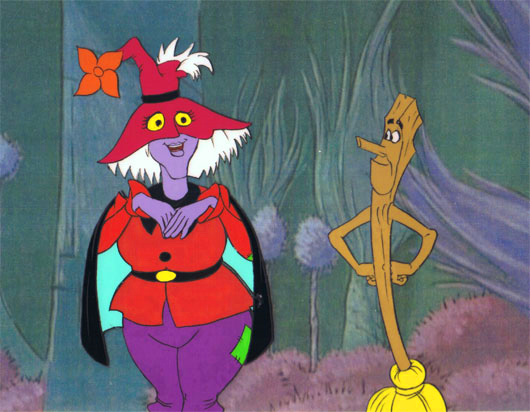 She's Fantastic: Princess of Power's MADAME RAZZ (and BROOM)! 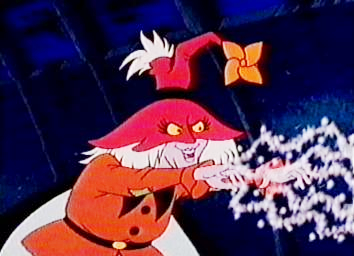 Princess of Power's MADAME RAZZ (and BROOM)! 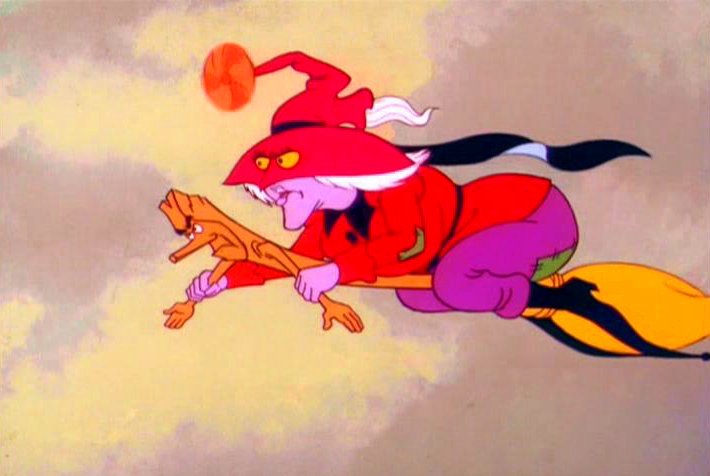 Madame Razz was never a high point of the She-Ra cartoon for me. I've never been a fan of comedic slapstick characters (or overbearingly cute characters either). 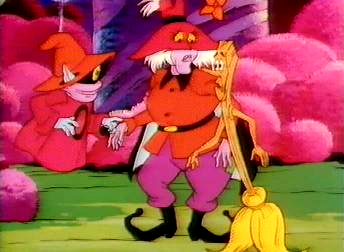 Orko, Snarf, Imp, Slimer, even Cringer.. they are all characters that annoyed the crap out of me. Madame Razz was no exception. But something interesting is happening in my adult life where I no longer take the cartoons so seriously (I realize I probably shouldn't have ever been taking them seriously), but now I view them as camp-fests; I try to do impressions of all the crazy voices; I laugh at the extreme cheesiness (especially the "dramatic" parts that I used to watch so solemnly). So, lately I've taken an amused liking to Madame Razz. But the arrival of this figure in my mailbox this week has made me love her. Holding this amazing figure in my hands, seeing her in comparison to the other Great Rebellion ladies, and especially reading her great bio made me elevate her to the next level in my mind. Let's check out "The Magical Witch of the Whispering Woods"! First of all, I had no idea she was a Twigget. This makes her outlandish appearance understandable. I also didn't realize that she assembled the Rebellion by inviting the Brightmoon royal family into her magical forest, The Whispering Woods, after the Horde won the Battle of Brightmoon and took over. She has one tiny design flaw. The Upper part of her boot is purple, but it is supposed to be black. Overall I think this figure is perfect. She's quirky, colorful, well-articulated, and fun. I groaned when I heard she was the second Club Etheria figure (thinking Peekablue or Perfuma would be a better choice), but I'm eating my words now because I think she's amazing. Broom is amazing in the fact that he stands so well on his own. He actually has a peg hole but it's unnecessary. Madame Razz on the other hand is a little top-heavy. The fact that she has such detailed leg and foot articulation makes her a little less steady on her feet. Seriously that face is perfection. Full disclosure: I photoshopped out the flight stand (that was suspending her from her neck). The black background and the lighting made it look distracting. I display my MOTUC on white shelves so it's not noticeable there. Some shots of Razz against her magical nemesis, Shadow Weaver. 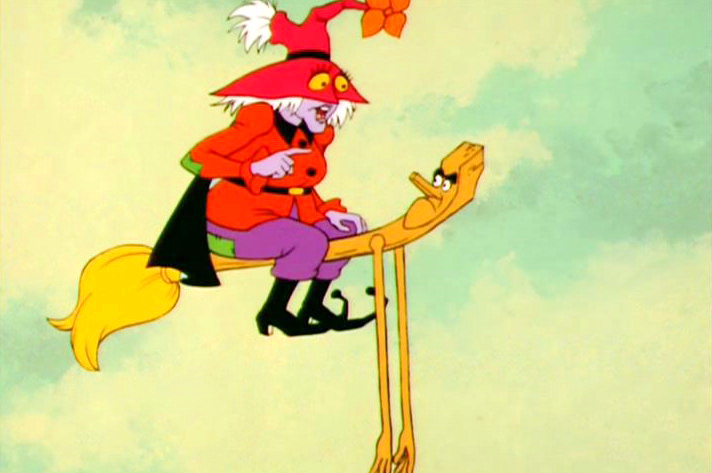 Here are some images of Madame Razz and Broom from the cartoon. See what I mean about the boots? I know, shame on me for not having a POP girls group shot. Maybe with the Flutterina review. I could care less about Madame Razz but I mirror your sentiment about old(er) age and an appreciation for those characters I dismissed as corny or lame when I was younger. Also, it is nice to see an action figure of a gal with less than 'ideal' proportions. That's rare. Cool looking action figure. I'd be impressed too, if I was into POP stuff! Older and wiser I say! The proportions issue is very interesting. I ususally boil it down to that typical cynical idea that female shapes are more "commercially viable", but on the flipside, it just may be the fact that so few characters have imperfect bodies that making an entirely new mold just isn't financially justifiable. I can't think of a single other character that might be able to re-use this body. Razz is soo freakin awesome! Mine should be here this week & I can't wait to add her to the PoP section of my MOTUC display.